Louisville, Colo., The Leadville Race Series, produced by Life Time® Healthy Way of Life, is welcoming premium trail running brand, La Sportiva, to its ranks as presenting sponsor of the Leadville Trail 100 Run and Official Sponsor of the Leadville Race Series run events. Together with Life Time, the nation’s premier healthy living, healthy aging and healthy entertainment brand, La Sportiva will be a driving force in providing a premier race experience for both new and veteran athletes. La Sportiva will enter the partnership with exclusivity in the category of footwear and apparel for Leadville Race Series run events. Their sponsorship includes not only retail and merchandise opportunities, but also allows the ability for La Sportiva to create a unique experiential activation on-course at the Leadville Trail 100 Run, helping to enhance the runner and spectator experience during race day. The Leadville Race Series is now entering into its 36th year. 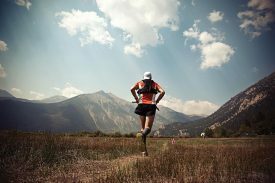 The running races within the series include the Leadville Trail Marathon and Heavy Half (June 16), The Silver Rush 50 Mile Run (July 8), the Leadville 10K (August 12) and the storied Leadville Trail 100 Run (August 18). Additionally, 120 runners take part in the Leadville Trail 100 Run Camp, a training camp in preparation for the 100-miler, June 22-25. Races begin at 10,200 feet elevation in the Leadville, Colorado, America’s highest city, and reach elevations of over 13,000 feet. More information on the Leadville Race Series is available at www.LeadvilleRaceSeries.com. Life Time champions a healthy and happy life for its members across 130 destinations in 37 major markets in the U.S. and Canada. As the nation’s only Healthy Way of Life brand, Life Time delivers an unmatched athletic resort e3xperience and provides a comprehensive healthy living, healthy aging and healthy entertainment experience that goes well beyond fitness to encompasses the entire spectrum of daily life for individuals, couples and families of all ages. For more information visit www.lifetime.life. With 90 years of heritage, La Sportiva has unrivaled experience in building the world’s finest performance mountain footwear. Creating innovation through passion, La Sportiva now offers the most versatile technical climbing, mountaineering, Mountain Running® and hiking shoes on the market as well as ski mountaineering hardware and apparel. For more information on La Sportiva visit www.sportiva.com.